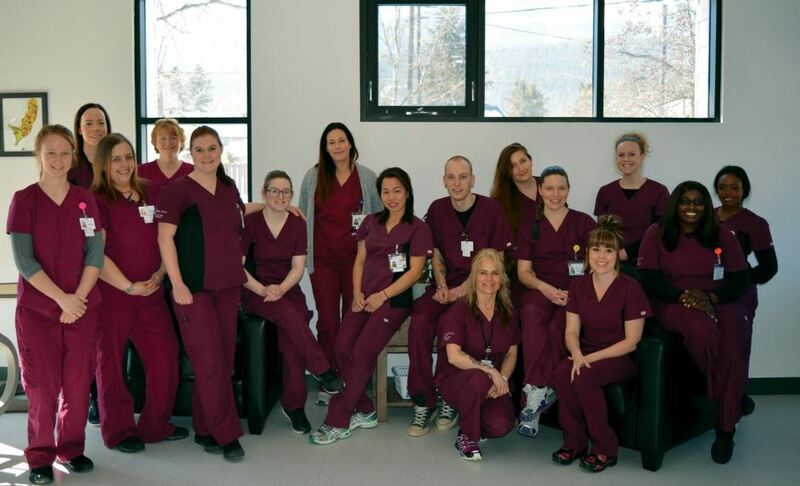 College of the Rockies’ HCA students look forward to starting their careers as Health Care Assistants. Students are pictured here along with instructors Michele Knox (second from left) and Kathy Poland (third from right, standing). College of the Rockies’ Golden campus’ is wrapping up the semester for their largest intake of Health Care Assistant (HCA) students ever. Fourteen students have completed their final practicum and will soon be prepared to help fill the demand for HCAs in the region. The HCA program is a 27-week program that prepares students to provide personal care to individuals in long-term care as well as in community settings like home support and assisted living. The program involves both in-class theory and a practicum placement in the field. According to the WorkBC website, a strong demand for care aides is contributing to higher salaries and increased employment opportunities. As the provincial government is increasing the number of long-term care beds available in BC, more employment opportunities are expected to result. WorkBC forecasts close to 900 job openings for Health Care Assistants in the Kootenay region alone. These positions will result from replacement of retiring workers as well as new job openings due to economic growth. The HCA program is offered yearly at the Cranbrook campus, and rotates on an annual basis to most regional campuses.